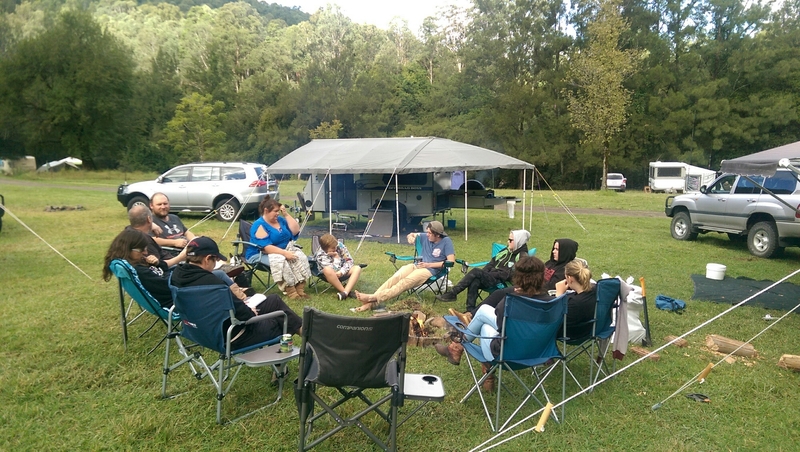 We headed to Ferndale Park just out of Dungog in the Hunter Valley of NSW with some mates for the Anzac long weekend.It was quite funny when our mates told us where they were heading, as Dungog is where my family is born and bred, so it seemed quite funny to be going there to camp. We hadn’t camped at Ferndale before and to be honest didn’t even realise that it existed, even though we have driven past it quite a number of times – i love that camping gets us out exploring even close to home. The weather was a bit all over the place for the weekend but we still had a ball and would definitely go back again. The park is reasonably large (and due to the weather we didn’t even venture across the river), with toilets and (hot) showers which for a bush camp are in great condition and there is also a pit toilet located on the other side of the park to the toilet block. The river runs along the back of the area that we were camping in. Chichester Dam is just up the road and was flowing over the dam wall which was quite exciting. 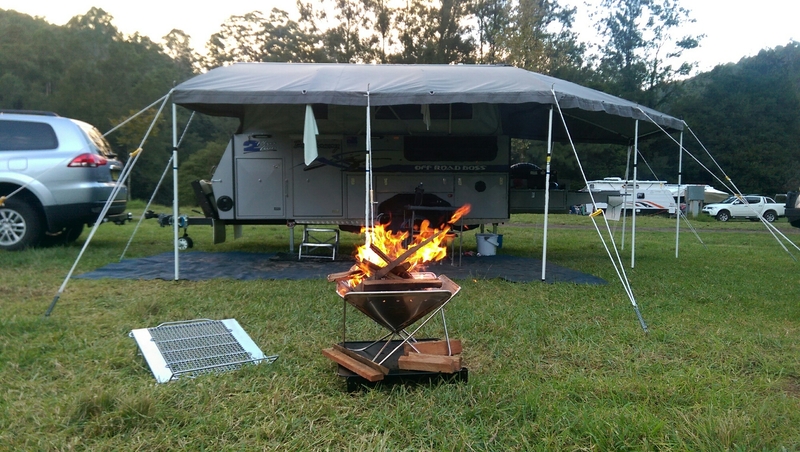 Our new SnowPeak Firepit (thanks to Drifta) kranked up.